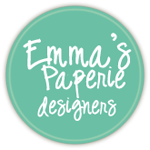 a brand spankin' new stamp company from my friend (and neighbor! As in, my actual lives-in-my-neighborhood, neighbor ;), Jen del Muro. I used the larger heart image as the focal point and embossed it in white on top of a misted panel. The little dotted line makes for perfect sun rays, right? The sun panel is floating just above the sentiment. Sunny cards make me happy. 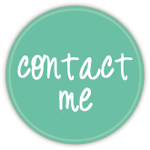 Leave a comment here for a shot at winning a $25 gift certificate to Reverse Confetti. Leave it quick, though... you have until 1pm EST today (May 7) to enter! The winner will be announced today! 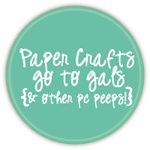 Check out the Reverse Confetti blog after 5pm EST to see if it's you! Absolutely love the simplicity!!! Reverse Confetti stamps are truly unique. Cannot wait until May 8th!!!! LOVE it...so fun and happy! this stamp set looks like so much fun, love how you used the enamel dots on the card. 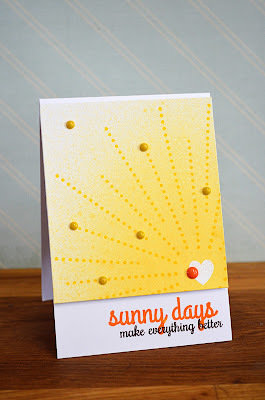 wow I can see why sunny cards make you happy...this is gorgeous! love the yellow misting and the enamel dot detail. BTW so lucky you and Jen live so close together...must be nice to bounce ideas off of each other and get inspiration. Love it ! What a beautiful card !!! 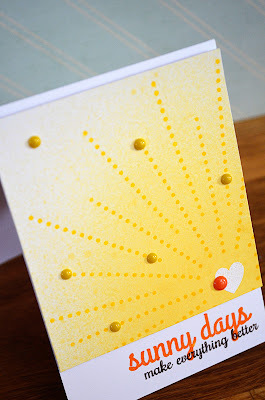 This really is a "Happy" card, love the dotted lines as sun rays and your misting. Very nice stamps too. Wonderful card! So bright and cheery. Nice!!! I love that font!!!! LOVE this!!! Just darling :) Sunny cards make me happy, too, and you NAILED it! lol :) Wishing you a sunny day! Thanks for the peek! Wow, Your card is beautiful!! You did such a great job with such a cute stamp set! I love the font and size of these stamps. Great job! Oh my goodness!!! This is GORGEOUS!!! LOVE the layout and bright sunny colors! PERFECT!!! OMG this is stunning ..love your creativity! I'm a sucker for YOUR sunny cards, every. single. time.! Love it! 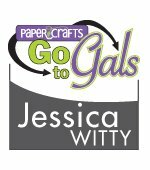 Love this stamp set and I look forward to seeing much from this new company! What a super card, and awesome new stamp set. So glad to see you as a guest blogger - this new company looks awesome. Great card, as always! 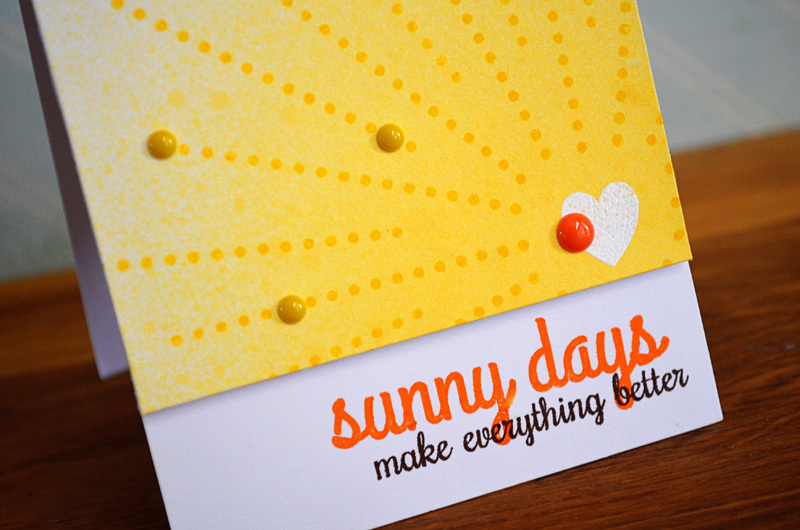 Sunny card always make me happy and so does yours! Great job! What a happy card! I love the font on this set. That is definitely a beautiful and creative card. I love sunny cards... though we haven't seen any here lately! Tks for the inspiration. cute set, and cute cards! 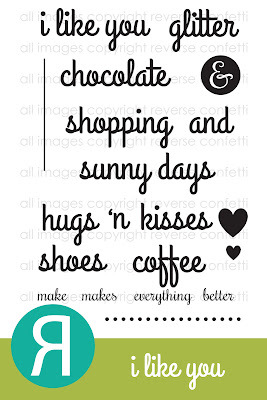 I like the font of those sentiments! Very fun and happy card! LOVE! LOVE your card! It's so happy! Cute sayings in the stamp set, too! 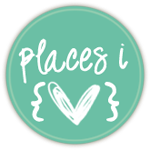 Love your sunny card! Cute sayings. What a fun, versatile set! What a fun card! I would love to purchase the set but winning the gc would be even better! Love the colors of this card! So bright and cheery. Thanks for the chance to win these goodies!! Bright and sunny... I love it!! I love how you made a sunshine card! Love the misted background! Love it! Thinking you just enabled me. 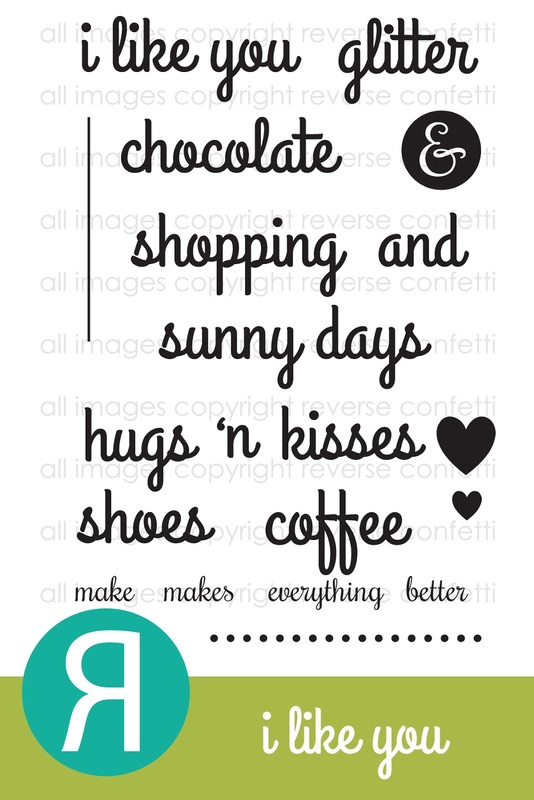 SUPER cute card and set...love it! What a fun & happy card! Love the new set! What cool stamps and a fabulous card! How cute--I like the enamel dots. I love, LoVe, LOVE everything about this card ... so bright and cheery, and so Y-O-U!